Ekalabya Model Residential School (EMRS) have been setup at Susunia of Manbazar-II Dev. Block with the specific purpose of providing quality education to Scheduled Tribes Boys and Girls from Class VI to XII. The school has a capacity of 420 students. The students who are admitted in these schools are provided with scholarships, free food and lodging etc. Computer literacy has also been introduced. 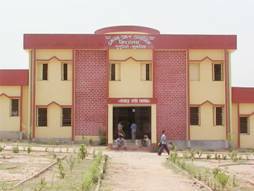 Eklavya Model Residential School, Purulia. RESULT OF H. S. STUDENTS OF E.M.R.S., PURULIA.